Ok folks, let’s talk tomatoes. 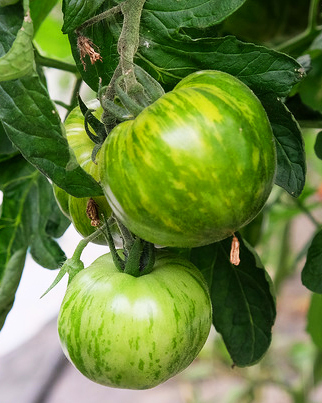 Are tangy Green Zebras your thing, or do you prefer the candy-like sweetness of a Sungold? Do your tastes lean towards the intense flavour and slight saltiness of a Black Krim, or is the complex and tropical taste profile of a Juane Flamme more your cup of tea? 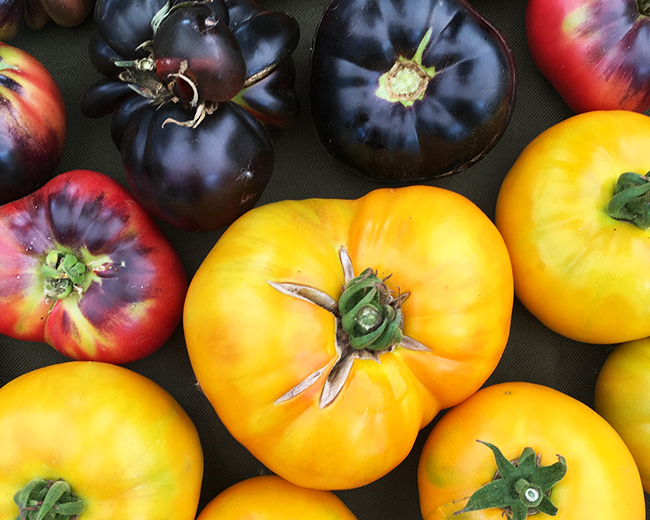 Whatever your preference, come sample 20+ tomatoes varieties this weekend at Trout Lake (Aug 25) and Kitsilano (Aug 26) as part of our annual Tomato Festival! Each year at the festival, we celebrate the beauty, flavour, and sheer abundance of love apples that our farmers grow – more than 200 different heirloom and specialty varieties! Come view a large selection of some of our favourites, or discover your new fave at our Tomato Tasting Station. Tomato sampling is by donation and proceeds go to support our Fresh to Families Project. Come pay homage to one of our favourite fruits this weekend at Tomato Fest! Member Perk: Are you an active VFM Market Member? Stop by Tomato Fest, show your membership card, and be entered to win a flat of tomatoes from our vendors ($25 value)! Not a member yet? Sign up for a Market Membership at the Info Tent this weekend to be eligible to win! Plus! Learn to can your own tomatoes and preserve the harvest all winter long with our friends at Italian Cultural Centre! Join them this Wednesday, August 22nd for an evening workshop that teaches the boiling water bath method for preserving tomatoes. More info on registration here.